O Night Games, Where Art Thou? Well, maybe not constant. But if this institutional ban on wildly popular, revenue generating, TV exposure galore, fan-favorite, endlessly entertaining night games at the Big House (in which Michigan is 3-0 I might add) goes on much longer I might just have to sell my soul to the devil! Damn! We're in a tight spot! 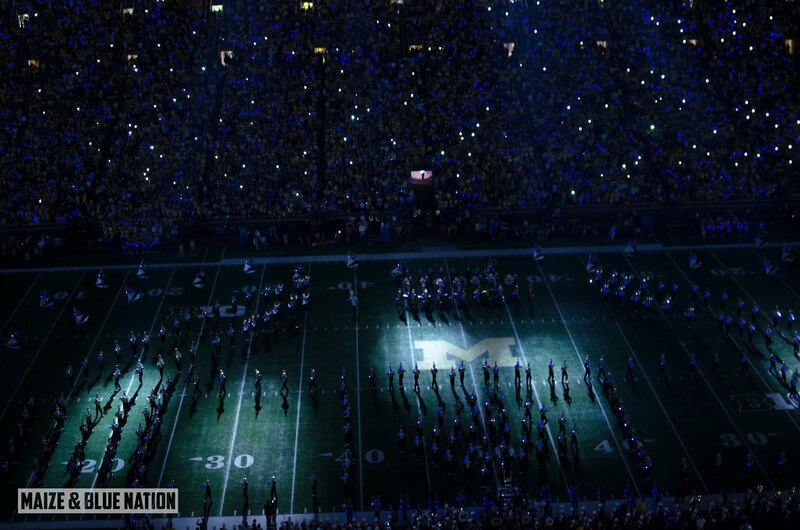 “No night game this year,” new Michigan athletic director Warde Manuel confirmed to The Detroit News on Thursday. Manuel said it’s not happening this fall, but is not ruling it out for the future. Michigan hosted games under the lights in 2011 and 2013 against Notre Dame and against Penn State in 2014. Our destiny is more night games," Hackett in January. "(Television companies) and the fans are preferring to be able to watch games later. It's a challenge for fans coming to games, particularly if they're coming long distances or having to stay overnight. Also the safety issues increase, the challenges for the safety staff and the traffic people. "But, with all that said, they've been really successful at the Big House and we want to have another one. We're working on one this year. ... It'd be premature for me to announce the exact game, but, yeah, we think so. This appears to be the first public shift in policy from the Hackett to Manuel administrations. While I don't quite think we're getting the whole story with Manuel's "I like daylight" answer, I think that's about all we're going to get from the new athletic director for now. Hopefully this isn't the standard practice going forward. While I understand some folks prefer noon or afternoon tilts, there is a ton of fan support for night games, especially ones that occur early in the schedule. Like it or not, dear newly anointed athletic director, night games aren't going anywhere anytime soon...and those little round things on the top of the east and west towers at the stadium aren't for just decoration.